Estonia digital citizenship: I am an e-resident of a country I’ve never been to. I became a virtual resident of a country I’ve never been to. Now what? 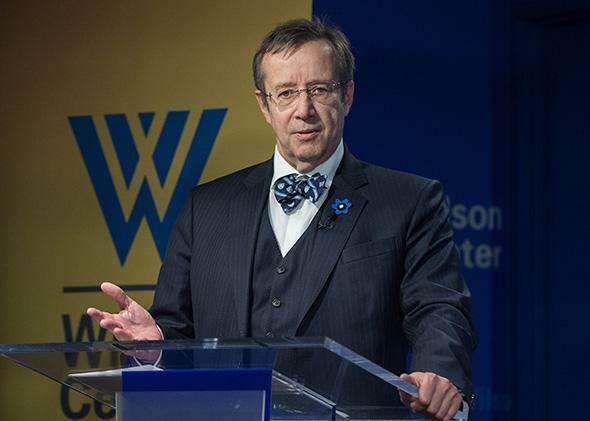 Estonian President Toomas Ilves speaks at a talk titled “The Estonia Model: Why a Free and Secure Internet Matter” at the Wilson Center in Washington, D.C., on April 21, 2015. On an unseasonably warm April day, I hurriedly made my way up Washington, D.C.’s Embassy Row, my documents clutched in my hand. As I sweated through the suit I rarely wear to work, the eagle on the cover of my passport seemed to be looking up at me accusingly. More than 80 years ago, my grandfather left his home in Eastern Europe to move to America. Now, I was about to take a journey in the opposite direction. I double-checked that all my papers were in order as I rang the bell at the embassy door. I was about to apply for residency in Estonia … well, on the Internet anyway. Last October, Estonia announced that it would be first country to offer “e-residency” to foreign citizens, allowing them to take advantage of the same digital services as Estonian citizens. The status was initially offered to foreigners living in Estonia, but as of April, it became available to people outside the physical borders of the country. It’s not surprising that the first country to offer this would be the Baltic republic that likes to tout itself as “E-stonia.” The government has embraced information technology, and the nation’s healthy startup scene birthed Skype. But much of the early coverage of the announcement, including that of my Slate colleague Lily Hay Newman, questioned what exactly one could do with e-residency. Was it a pyramid scheme? Or the state-run equivalent of one of those companies that “sells” you property on the moon? Or was it a prescient glimpse of a world in which new communications technologies render physical borders obsolete? To find out, I decided I would have to become an E-stonian myself. Perhaps appropriately for such an experiment like this, I have never been to the physical country of Estonia. While I like to think I have basic knowledge of the country’s politics and history—particularly its fraught relationship with neighboring Russia—from my day job writing about foreign affairs for Slate, the fact is I don’t know too much about the place. Until applying for e-residency, the only Estonians I had much of any concept of were Jaan Tallinn, the apocalypse-predicting Skype programmer whom I once interviewed for an article; Toomas Hendrik Ilves, the country’s acerbic, bow-tied president, who’s a must-follow on Twitter; and the monkish, minimalist composer Arvo Part, who’s created some of my favorite chilled-out work music. But it’s a stable and democratic country, and one I certainly don’t mind being associated with, particularly as the obligations associated with e-residency are pretty minimal: I don’t have to pay taxes or serve in the country’s military, after all. My lack of any connection to meatspace Estonia didn’t seem to be much of a problem when I arrived at the embassy for an appointment with the exceedingly friendly political affairs secretary who took my paperwork, telling me I was the first one to apply there. (In April, when I applied, prospective e-residents had to file my paperwork in person at an Estonian embassy or consulate, but since May, it’s been possible to apply online.) I turned over an 80 euro (US$87) application fee, my passport (he either didn’t notice or didn’t care about the rather ostentatious Russian visa sticker), and a personal statement about why I was interested in e-residency. I was upfront about the fact that I was a journalist and was interested in learning more about e-residency, despite having little to no connection to Estonia. I expressed a vague but sincere desire to some day visit the physical country, e-residency card in hand. The whole process at the embassy took about 10 minutes, which is not a lot for an immigration procedure but is kind of a lot to sign up for an online membership program. When I stepped back into the sunlight of Massachusetts Avenue, I still wasn’t sure quite what I had signed up for. E-residency gives its holders the ability to digitally sign documents and contracts, register companies in Estonia (“within a day,” according to the website), file Estonian taxes online, encrypt documents, or conduct e-banking. As of the end of April, there were 1,410 e-residents, and an additional 1,600 people from 73 countries outside Estonia had applied for e-residency, according to Katre Kasmel, communications director for the e-residency program. The highest number of those (about 35 percent) are from neighboring Finland. Russia, Latvia, and Ukraine are next, followed by the United States. Given that I didn’t pretend to have any intention of doing any of those things, I was still not quite sure they would actually let me become an e-resident. But sure enough, about one month later, I received an email saying my e-residency card had been shipped from Tallinn and was ready for pick-up. After one more trip to the embassy, this time to have my fingerprints scanned, I was finally a proud official e-resident of Estonia. I was issued a packet containing an ID card embedded with an EMV-chip like those in many credit and debit cards. I also received a personal code like those held by real Estonians, a chip reader to plug into my USB port, and a document of pin codes needed to access e-residency services. I excitedly installed the necessary software (ignoring my skeptical colleagues’ warnings that I was likely exposing myself and Slate to a Russian botnet attack) and plugged my card into the reader. After a couple tries, I was able to access the e-residency site … and there was nothing really for me to do. I’m not planning on registering a business in Estonia and don’t really have any documents needing a digital signature. My job doesn’t exactly require Glenn Greenwald–level crypto, but even if it did, I’m not sure I would trust encryption software provided by a government, even one as tech-friendly as Estonia’s. I probably wouldn’t recommend e-residency to anyone not planning on taking up real residency in Estonia, and I’m still not exactly certain that it will ever appeal much beyond that group. But it’s early days. As Kasmel says, e-residency is still in its “beta phase.” This may be the first time I’ve been an early adopter, and I’m happy that it coincides with the struggle to define what nationality means on the Internet. The Internet was supposed to pose a mortal threat to nation-states, those “weary giants of flesh and steel,” as one famous cyberutopian manifesto put it. But the nations have fought back. Governments like Russia, China, and Iran have eagerly adopted the concept of Internet sovereignty in a thinly veiled attempt at controlling and monitoring their citizens’ online activities. Estonia proposes a different, more open model of nationality on the Internet, one not limited to citizens of the physical country it’s connected to. I’m still not quite sure what it means, but for now, I’m happy to live online in E-stonia. I’ll encrypt you a postcard.